Who We Are | It's Gonna Blow!!! 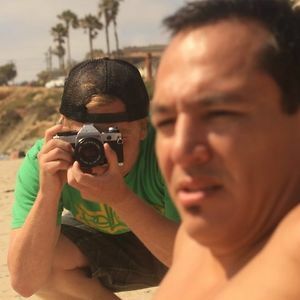 Bill Perrine is a director, editor, cameraman and writer based in San Diego, California, of which he is a conflicted native. Bill’s recent projects include producing, directing and editing “Children of the Stars”, a feature documentary about a flying saucer group’s attempts to relive its past lives by making science fiction films; producing and editing “Herschel Sizemore: Mandolin in B”, a feature documentary about the legendary bluegrass musician; filming and editing Ibhayi Media’s “Suds County USA”, a feature documentary about the history and culture of craft beer brewing in San Diego, current “Beer Capital of the World”; editing Lethal Sounds’ feature doc “Hillsville 1912”, about a blood feud in turn of the century Appalachia which culminated in a massive courthouse gun battle and front page coverage in the New York Times; serving as Producer for Garnell Fitz-Henley’s directorial feature debut “Bliss”, in which a struggling artist and a volatile flamenco dancer discover that their last chance at a future together hinges on the fate of a soon to be demolished Craftsman cottage; and filming “Gustavo Romero: Portrait in Piano” for director Jonathan Bewley. Bill’s films have been widely screened as well as featured at the San Diego Latino Film Festival, Salt Lake City Film Festival, Blue Ridge Film Festival and on the California Council for the Humanities website. He has worked extensively with the Media Arts Center San Diego, a non-profit that brings multimedia arts access to the community, for whom he has directed, produced, edited and filmed numerous short documentaries and taught production classes. A former art dealer, Bill is an expert on early California painting and the San Diego Mid-Century Moderns. He is on the advisory board of the Snapshots Music and Arts Foundation as well as the board of the La Jolla Cultural Society. 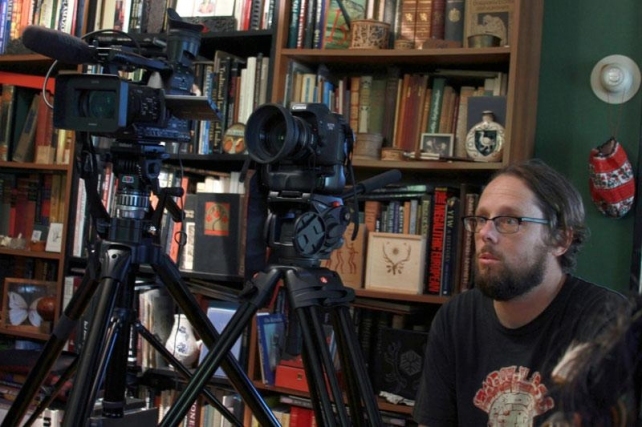 Rick Bowman is a writer, director, and producer, and has been based in Southern California for the past 20 years. 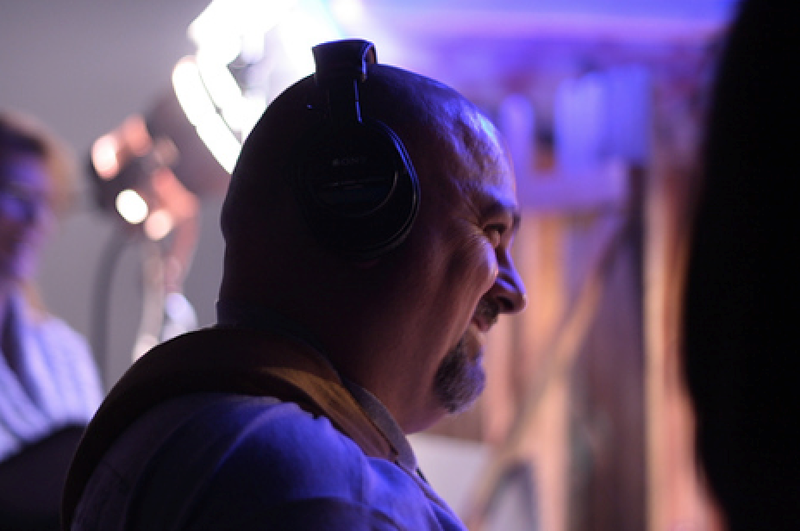 He owns a recording studio, Lethal Sounds, Inc., and has earned Cindy, Telly, and Omni awards for sound design. For the love of documentary film making, he started Backyard Green Films, a production company. He recently finished producing and directing the feature documentary “Hillsville 1912: A Shooting in the Court,” which won an IndieFest award, and is currently working on “Herschel Sizemore: Mandolin in B,” a bluegrass documentary on Herschel Sizemore. His credits include “Children of the Stars,” with Bill Perrine, Ibhayi Media’s “Suds County, USA,” about the San Diego craft brewing industry, “Return to Dwight and Nile,” about the 1978 PSA crash, “Storyhill: Parallel Lives,” by Yellow Skip films, and numerous other documentary topics. He also has feature film credits for his sound work for “On Bloody Sunday,” “Shoot the Hero,” “Delirium,” “The Custodial Code,” and others. Nathaniel T. Elegino is a Cinematographer working in Los Angeles. Being of a multi-ethinic background, he was exposed to world cinema at a very early age, being enthralled with native films of the Philippines, Hong Kong, Japan, as well as Hollywood blockbusters. In high school, he gravitated toward the arts; playing in the school band, DJing, acting and directing plays, and helping co-found the school’s first art magazine. He later started experimenting with the camera and began creating little short films. He continued his passion for films and filmmaking, traveling and shooting in countries like Philippines, Brazil, Mexico, and Puerto Rico. 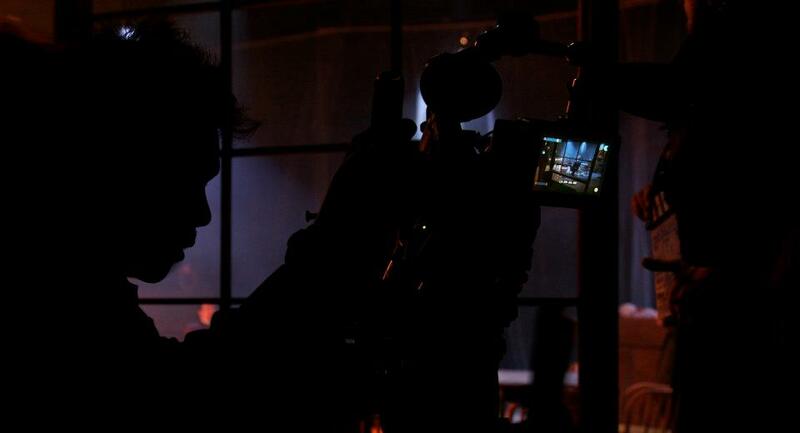 Nathaniel received a Bachelors Degree in the craft of Cinematography at San Diego State University Film School. He has worked on a number music videos and commercials and has shot many shorts and features. Nathaniel wishes to travel around the world with a camera in his hand to capture the beauty of the world, and her many locales, inhabitants, and cultures. Ryan Washburn is so busy filming things that he hasn’t given us a bio yet. Judging by his sweet jalopy he is actually one of the Hardy Boys. Swami recording artist Jacob Turnbloom currently writes music for the Surf Punk group Mrs Magician. Produced by John Reis (Rocket from the Crypt, Drive Like Jehu, Hot Snakes, Night Marchers), their albums “Strange Heaven” & “B-Sides” have received rave reviews from The LA TIMES, NME, ROLLING STONE, MTV HIVE, VICE, etc. and the band received a San Diego Music Award for “Best Pop Album” in 2012. Daytrotter listed the song “There Is No God” as one of their top 200 best songs of 2012. 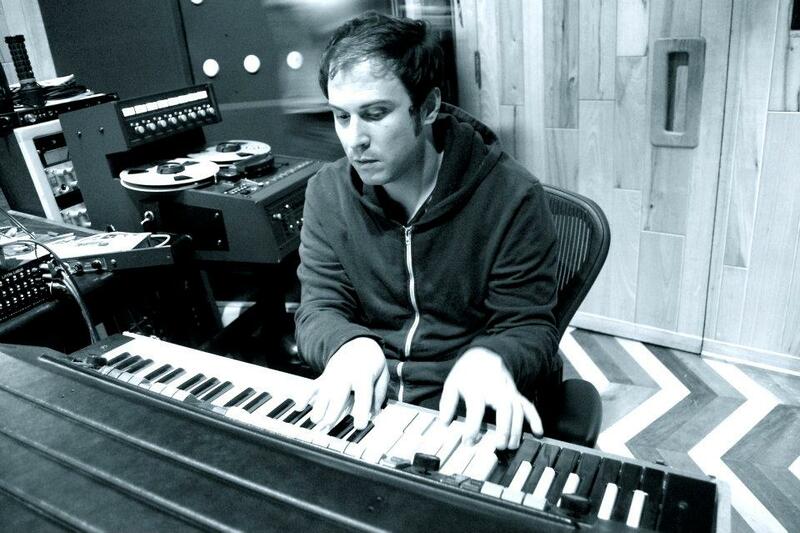 Previously Jacob was the frontman/ songwriter for the now defunct Synth Rock band First Wave Hello which was nominated for a San Diego Music Award in 2007 for their debut LP “The Lord & its Penguin”. He has performed/toured with Ken Andrews (Failure, Year of the Rabbit, ON, The Replicants) as well as drummed for Post Punk/Goth band Blessure Grave (Captured Tracks, Mishka, Alien8). Mike Lupro is uniquely qualified to advise on this project. In addition to his background in academia he was a member of the San Diego band Trumans Water during the early 90s, from which he observed first hand many of the events chronicled in the film. He serves as an interview subject as well as a content advisor. Intermedia art, tourism, geography, and culture studies are my fields of study. San Francisco State, Portland State, and Bowling Green State universities have, respectively, provided my training. Popular music, film, urbanization, mediation of genocide, and faux-journalism have been the topics of my publications and my current research looks to Rocketman, Major Tom, and Sun Ra to intervene in the development of space tourism. Ryan Moore has written about the film’s themes and interviewed some of the same subjects for his book Sells Like Teen Spirit. He serves as a content advisor. Ryan Moore earned his Ph.D. from U.C.San Diego and is assistant professor of sociology at CUNY-Queensborough Community College. He is the author of “Sells like Teen Spirit: Music, Youth Culture, and Social Crisis”, published by NYU Press in 2010. His ethnographic research on the San Diego music scene of the 1990s was also published in the peer review journals “The Journal of Contemporary Ethnography_ and Deviant Behavior”, and he contributed numerous entries on punk, grunge, and indie rock to the second edition of “The Grove Dictionary of American Music” (Oxford University Press, 2012). In addition to his current position, he has taught sociology at U.C. San Diego, The University of Kansas, Colgate, and Florida Atlantic University. He lives in New York City and is currently researching the links between artists, musicians, “hipsters,” and gentrification in Brooklyn.